your attitude almost always determines your altitude!" Please enjoy the slideshow below depicting Sarah's travels through Europe! 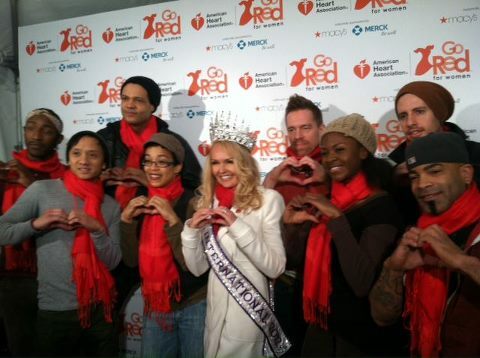 Mrs. International 2012, kicks of the 10th anniversary of the Go Red For Women Movement at the National Celebration in New York City. Sarah served as the emcee of the celebration and even introduced Star Jones! Click play on the picture below to view the slideshow highlights from Sarah's time in Los Angeles, Tokyo, Hong Kong, Manila, Malaysia, Sydney and Honolulu!